"A masterly study of Charles de Gaulle...that leaves not a scintilla of doubt about his greatness." "In crafting the finest one-volume life of de Gaulle in English, Julian Jackson has come closer than anyone before him to demystifying this conservative at war with the status quo, for whom national interests were inseparable from personal honor." In the early summer of 1940, when France was overrun by German troops, one junior general who had fought in the trenches in Verdun refused to accept defeat. He fled to London, where he took to the radio to address his compatriots back home. "Whatever happens," he said, "the flame of French resistance must not be extinguished and will not be extinguished." At that moment, Charles de Gaulle entered history. For the rest of the war, de Gaulle insisted he and his Free French movement were the true embodiment of France. Through sheer force of personality he inspired French men and women to risk their lives to resist the Nazi occupation. Sometimes aloof but confident in his leadership, he quarreled violently with Churchill and Roosevelt. Yet they knew they would need his help to rebuild a shattered Europe. Thanks to de Gaulle, France was recognized as one of the victorious Allies when Germany was finally defeated. Then, as President of the Fifth Republic, he brought France to the brink of a civil war over his controversial decision to pull out of Algeria. He challenged American hegemony, took France out of NATO, and twice vetoed British entry into the European Community in his pursuit of what he called "a certain idea of France." Julian Jackson's magnificent biography, the first major reconsideration in over twenty years, captures this titanic figure as never before. 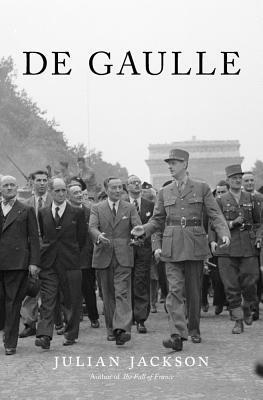 Drawing on the extensive resources of the recently opened de Gaulle archives, Jackson reveals the conservative roots of de Gaulle's intellectual formation, sheds new light on his relationship with Churchill, and shows how he confronted riots at home and violent independence movements from the Middle East to Vietnam. No previous biography has so vividly depicted this towering figure whose legacy remains deeply contested.